I am currently a Research Scientist at Disney Research in Los Angeles. I research and develop AI and embodied character interactions. Before moving to LA, I was a Post Doctoral Associate at Disney Research in Pittsburgh, USA. I worked on language-based character interaction as part of Jill Lehman's group. In early 2017, I completed my PhD in Human-Robot Interaction at Plymouth University, U.K. supervised by Professor Tony Belpaeme, Dr Paul Baxter and Professor Angelo Cangelosi. 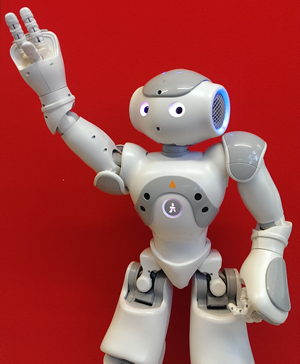 My PhD work focussed on tutoring children using a social robot. I previously worked alongside the EU FP7 DREAM project, the EU H2020 L2TOR project, and the EU FP7 ALIZ-E project.